LBRY is all about sharing your creations with the world. One thing you can’t do (yet!) is share your tangible, physical works. But today is the next best thing. Welcome one of the best DIY channels on the web to LBRY. Bob of @ILikeToMakeStuff builds anything and everything for the fun of it, and you’re along for the ride. Stormtrooper helmet? Check. Outdoor tool bed? Check. Rube Goldberg machine? Easy peasy. If you’re like us, you spend a lot of time building things indoors. Not moving. At a desk. 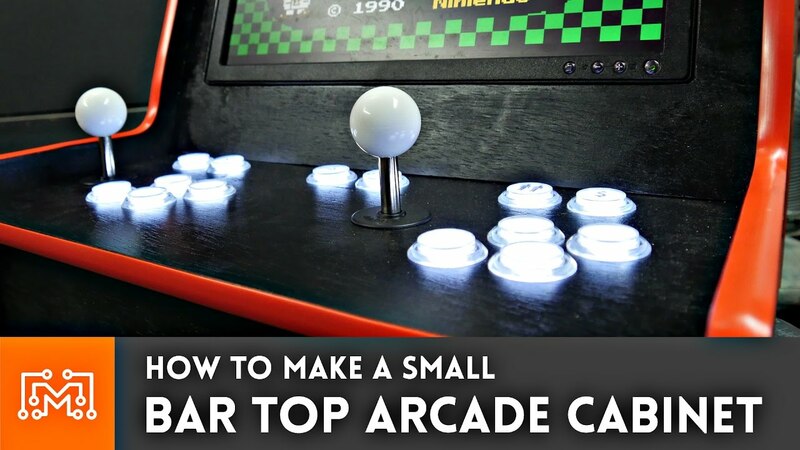 Bob shows you just how fun building cool things that you actually want to make can be, all while getting your blood pumping. Reilly is LBRY's in-house Curator and content liaison. He has worked in the entertainment industry since 2010, having produced two indie feature films and various short content. Added an option to disable max key fee check. LBRY (LBC) Pop-Up Open Beta anyone can watch awesome stuff on LBRY & earn free rewards. In less than a year, over 250,000 people have signed up to put control back in the hands of the content creators and consumers. That’s more people than the population of Samoa (which is totally a place you've probably heard of!). It’s a pretty big deal. There’s a reason why people have been clamoring to get in. It's the same reason why some of YouTube’s most popular publishers, a surge of gaming channels and independent producers are flooding LBRY. It's because existing methods are fundmanetally broken. Giant corporations demand tremendous control and abuse it, rather than fostering choice and freedom. They take half of creators' money just to move bits around, when content consumers could be doing it ourselves. Additionally, we want to make sure that the rewards we offer new users -- usually an amount of LBC worth about $5 - $10 -- end up in the hands of people who want to make the network successful. Open beta users can access weekly featured content and earn rewards. Ready to download? Get LBRY here. We want to get LBRY credits into the hands of users and communities that support content freedom. 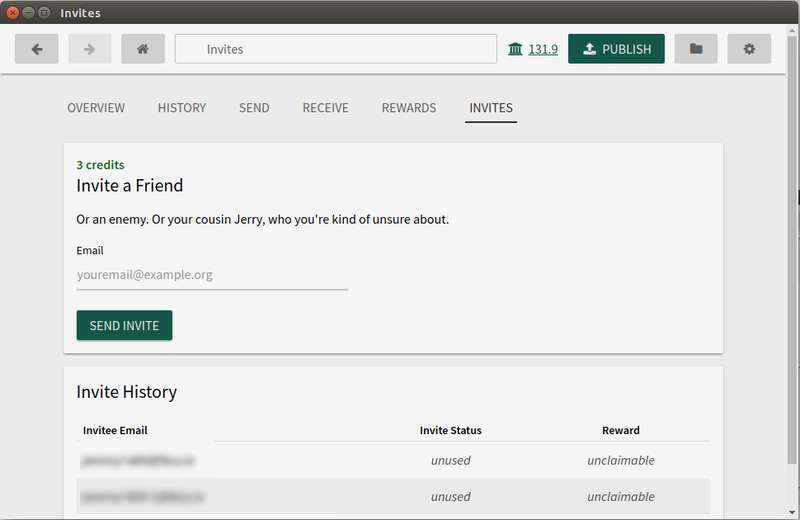 If you are part of a community that would find LBRY useful or interesting, we can offer invites to the rewards program for your community that do not require full identity verification. Interested? Say hello here. Jeremy is the CEO of LBRY (lbry.io). When not at his computer, he is probably on his cellphone. Allow IP addresses to be configured as reflector servers, not just host names. Fixed handling of SIGINT, SIGTERM. The API will no longer be served at the /lbryapi path. It will now be at the root. Lighthouse is a lightning-fast advanced search engine API for publications on the lbrycrd with autocomplete capabilities. What does Lighthouse consist of? Elasticsearch as a backend db server. LBRYimport, a importer that imports the claims into the Elasticsearch database. Lighthouse API server, which serves the API and does all calculations about what to send to the end user. Stuff needed to be worked on are located in issues or in the project board. The latest LBRY app, v0.15 and the first update since open beta, is now available. Get it here. The release notes are below. These notes are copied from the GitHub releases page, which is the official source of release notes. For immediate notification of releases, you can watch the project on GitHub. claimed, but only if the invitee passed the humanity test. Added new summary components for rewards and invites to the Wallet landing page. Added a forward button and improved history behavior. Back/forward disable when unusable. Added past history of rewards to the rewards page. Added wallet backup guide reference. Added a new widget for setting prices (FormFieldPrice), used in Publish and Settings. Updated to daemon 0.15. Most relevant changes for app are improved announcing of content and a fix for the daemon getting stuck running. 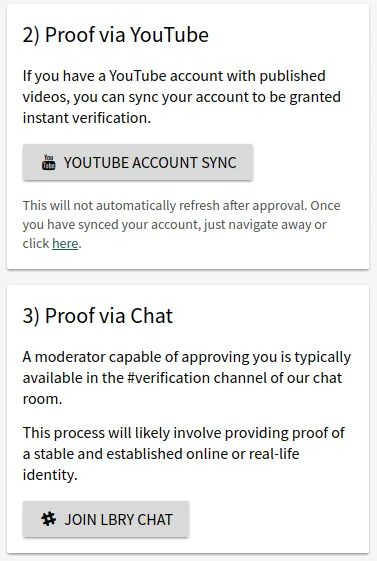 Significant refinements to first-run process, process for new users, and introducing people to LBRY and LBRY credits. Changed Wallet landing page to summarize status of other areas. Refactored wallet and transaction logic. Added icons to missing page, improved icon and title logic. Changed the default price settings for priced publishes. When an "Open" button is clicked on a show page, if the file fails to open, the app will try to open the file's folder. Some form field refactoring as we take baby steps towards form sanity. Replaced confusing placeholder text from email input. Refactored modal and settings logic. Refactored history and navigation logic. Removed the label "Max Purchase Price" from settings page. It was redundant. Added new options related to seeking and announcing by head blob. This is expected to significantly increase network performance once enough nodes have updated. Options to seek by head blob are on by default in this version. Bumped lbryschema requirement to 0.0.11 see changelogsee changelog. Updated exchange rate logic and exchange rate tests. Fixed uncaught error when shutting down after a failed daemon startup. Fixed spelling error in documentation. Deprecated blob_announce_all JSONRPC command. Use blob_announce instead. Moved tests into the lbrynet package.